Goaltender who was selected in the second round of the 2014 NHL Entry Draft by the Vancouver Canucks. 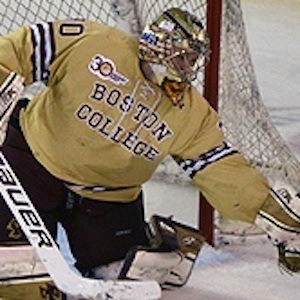 He played hockey at Boston College for three years. He won a silver medals with Team USA at the 2012 World U-17 Hockey Challenge. He hails from San Diego, California. He has been a member of the Vancouver Canucks alongside left winger Loui Eriksson.